I FOUND THE 4 STAR BALL!!! Who wants to go hunting for the other 6? Just kidding, I bought it online and it came in the mail yesterday. Re: I FOUND THE 4 STAR BALL!!! GG. How much was it. Haha. I own all 42 Dragon Ball books and I started reading them again starting from the first one today. 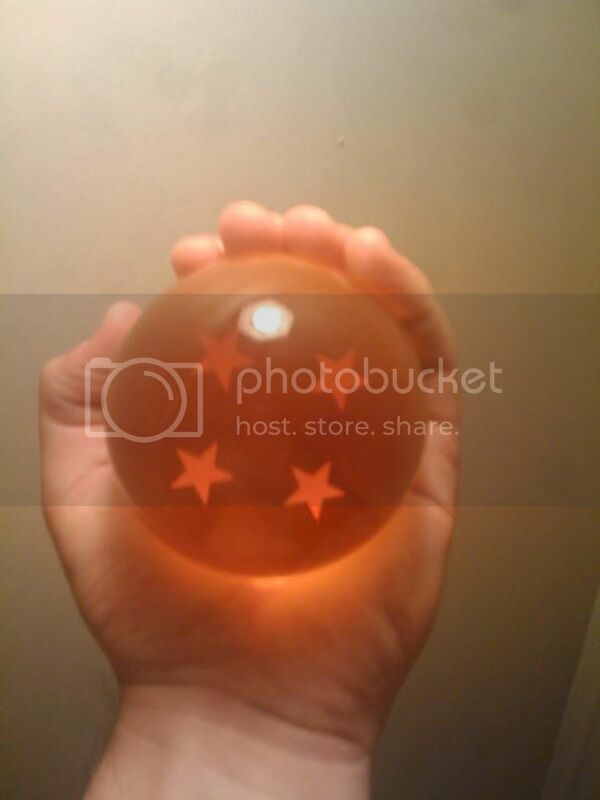 I'll be sure to tell Goku that YOU have his granpa's bawl! Buu Kills everyone, Goku Kills Buu. I think there's a manga for it. read it. Furgus wrote: I think there's a manga for it. read it. Obvious fact that manga comes before アニメ is obvious. I think you are confused with that Other Saga from Dragon Ball where everyone died and got revived... OH SNAP, they all went that way! What is funny is that they say people cant be revived twice by the dragonball. However, Cell kills a lot of innocent humans that are brought back to life. And then Buu kills all humans but they are magically brought back to life again ! So you found the number 4 ball, eh? Well, we could look for the other six, but it doesn't make a bit of difference because the balls are inert.